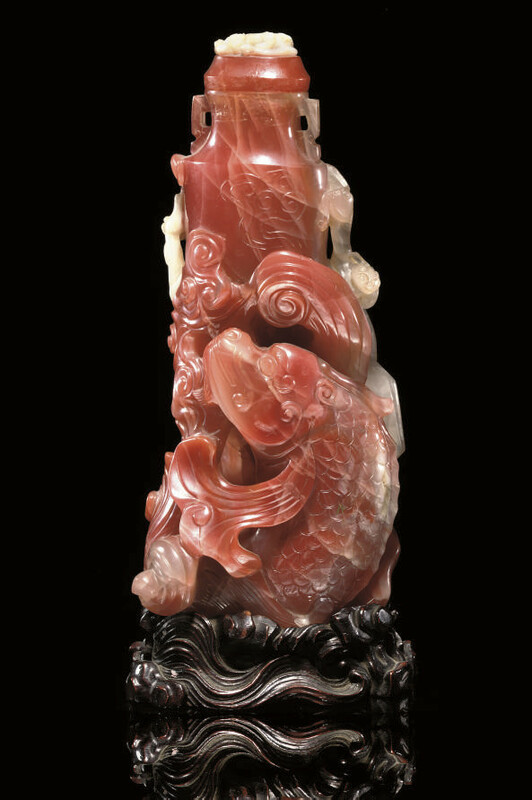 carved and incised with sympathetic use of the orange, white and translucent stone, depicting two formidable horned and winged carp rising up out of the swirling water, with a brilliant white flaming pearl, towards a flattened ovoid vase that is supported by jutting rockwork and scrolling clouds with flanking sinuous chilong dragons -- 7 7/8in. (20cm.) high, wood stand.